**** Chosen by Winner: Larry H.
The Hogue A01 Microswitch 2.75" Automatic combines a comfortable EDC design with a tough, durable build. It offers high performance automatic opening action with a sturdy plunge lock for secure blade lock up. 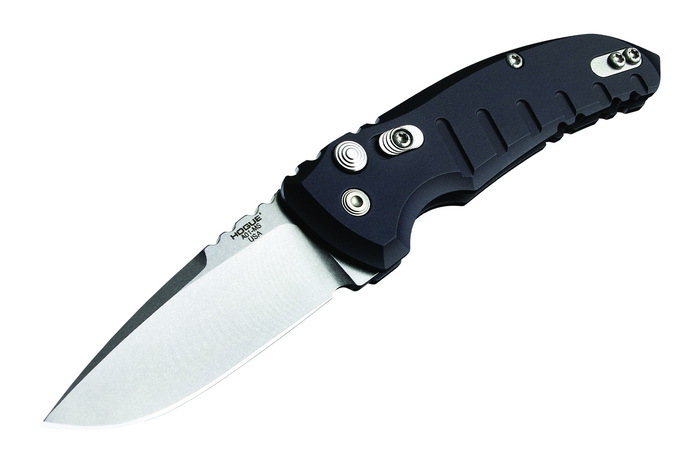 A stainless steel pocket clip and stylized backspacer finish off the outstanding design.